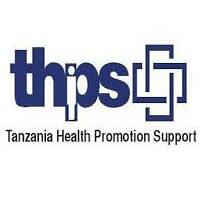 To provide regional leadership and technical support to ensure THPS supported health laboratories operate in accordance to Tanzania Ministry of Health and Social Welfare (MoHSW) standards, guidelines and protocols. To maintain continuous functionality of health laboratories to support clinical services for HIV care and treatment and other health problems. Specifically she/ he will focus on laboratory quality improvement using national and international laboratory standards and support all laboratory and non laboratory testing to the highest quality possible. The Medical Laboratory Mentor will work in close collaboration with the Technical Advisor Laboratory Services and THPS regional team to ensure the goals and objectives of THPS are achieved.  To provide technical assistance to facility-level lab personnel, including regular and systematic observation of testing procedures and ongoing site level supportive supervision and mentorship.  To build capacity of Regional and District laboratory technologists(RTL and DTL) in providing ongoing mentorship and supportive supervision to laboratory and non laboratory health providers in Pwani health facilities  Build capacity of laboratory health providers in appropriate lab logistics management to ensure uninterrupted lab services across all THPS supported health facilities  Support laboratory staff to follow written Standard Operating Procedures (SOPs) for every aspect of pre-analytic, analytic and post-analytic phases of the testing process in a laboratory.  Support Ministry of Health laboratories accreditation programs through Stepwise Laboratory Improvement toward Accreditation in the region and facilitate those laboratories selected for accreditation program National and THPS Targets.  Ensure compliance to quality assurance standards based on national, ISO and other International standard requirements to all laboratories in Pwani.  Support laboratory staff in Pwani region to implement laboratory quality management system as per national laboratory policy.  To provide ongoing mentorship to laboratory staff and health care providers on performing quality laboratory services and interpretation of laboratory parameters"  Assist in the preparation and delivery of proficiency testing for EQA from laboratory and non laboratory sites.  Conduct mentorship and supportive supervision to those laboratories under accreditation process.  Conduct training programs/continue medical education as appropriate to address gaps identified during supportive supervision.  Provide technical assistance to facility level lab managers, Quality Officers and other lab staff including: establishing routine workflows; developing/refining SOPs, job aides, log books, and referral forms as needed; planning of lab activities to improve tests performance and decrease turnaround time; and developing and implementing an equipment maintenance program.  Holder of a Bachelor's Degree in Medical Laboratory Science, or Molecular Biology and Biotechnology or its equivalent  Knowledge and skills in general clinical chemistry, haematology, flow cytometry, HIV viral load and GeneXpert MTB/RIF assays, and serology laboratory procedures  National specimen referral system and LIS for HEID and viral load. Interested applicants should send an email to hr.thps@gmail.com attaching application cover letter one page maximum and CV four pages maximum by November 25th 2018 with a subject line for example: Medical Laboratory Mentor Pwani Region. Only short listed applicants will be contacted. Please do not attach any certificates when submitting online.